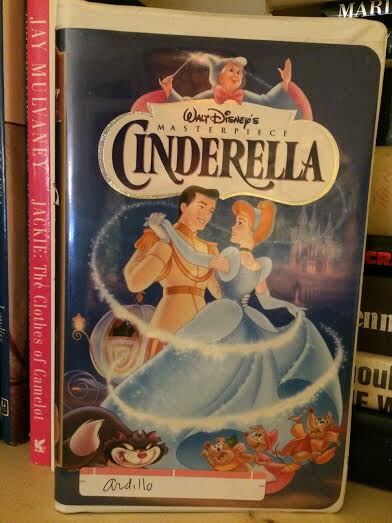 Despite what Walt Disney’s mega-marketing machine would have you believe, he did not create Cinderella. The story may have originated as early as 7 BC, but its European roots date from the mid 1600’s. The basic story line does not vary much: the prince or other wealthy man saves the poor orphaned girl from a desperate life, with or without a wicked stepmother or nasty stepsisters. Cinderella is the title character and our protagonist, and the story, in its many variations, is really about her. Hollywood, Broadway, and the literary world have all brought us many, many versions of this well-known tale. Just looking through Julia Roberts’ filmography alone we can see many iterations of the Cinderella story. In Pretty Woman, Richard Gere saves Julia Roberts from a life of prostitution and cheesy fashion choices. In Erin Brockovich, the legal field and a tough but fair attorney together rescue her from near-poverty, but alas, not from her cheesy wardrobe. In Runaway Bride, Richard Gere again saves her from being all dressed up in white but not getting “a ring on it”. Cinderella is everywhere. One Saturday in the fall of 1980 I was watching television while cleaning my tiny shoebox of an apartment in Baton Rouge, Louisiana. It was a studio apartment that in real estate speak would be described as cozy and “open floor plan”; the kitchen/dining/living room area was only separated from the bedroom and bathroom by a floor to ceiling curtain. I was a first-semester law student at LSU, and as much as I hated house-cleaning then and now, I was dreading even more a full day of reading case studies at the law library. I had channel-surfed for almost an hour and found nothing of interest until I came upon something already in progress, a black and white movie I had never seen before. However, I instantly recognized Joan Fontaine and Laurence Olivier as the leads, and that alone was enough to hold my attention. I was awestruck by this movie and for several days had the characters and setting bubbling around in my head. However, in the days before Google, unless you had a TV Guide magazine or the newspaper, it was not that easy to find out what was on television. When I mentioned it to the mother of a friend of mine, she instantly knew which movie I was talking about. “It’s based on a novel, you know, Rebecca by Daphne du Maurier.” I didn’t know, so naturally, I rushed to the library to get a copy of the book. Since I had never heard of the book Rebecca or been introduced to Daphne du Maurier prior to stumbling upon this movie, there wasn’t much I could do but proceed getting to know the movie and the book out of my preferred order. Almost thirty-five years later, it is hard to remember my initial reaction to reading Rebecca for the first time, as I have read it dozens of times since then. However, it is, and will always be, one of my favorite books, permanently lodged on my all-time top five list. Last night I dreamt I went to Manderley again. In this gothic novel, we get a glimpse of life on a grand English country estate (aka sprawling seaside castle amidst vast lands), set between the two great world wars, with the well-known trope of rich, dashing widower meets poor but pretty young girl. He marries her, and brings her home to a substantial dose of culture shock and all-out social class warfare. Classic Cinderella story, n’est-ce pas? If you assumed the Disney version, though, you would be very wrong indeed. Du Maurier shatters all such assumptions. In Rebecca, the title character is actually the deceased first wife of the “prince”, and the story is really about her, so much so that we never actually learn the name of “Cinderella”. Du Maurier very craftily makes this young girl, released begrudgingly from her employment as a traveling companion to an old and pompous American woman to marry Maxim de Winter, the vessel through which we get to know the first and late Mrs. de Winter. It is through the slow unfolding of Rebecca’s story that we watch the second Mrs. de Winter save her prince. No spoilers; if you haven’t read the book or seen the movie get thee to Amazon immediately! This glorious book, published in 1938, has sold millions of copies and is still in print all over the world in many different languages. It is still regularly assigned as required reading in high schools, where its status as a modern gothic novel with elements of romance, jealousy, crime, and mystery are artfully woven together, serving also as a good vehicle for teaching social class and hierarchy with the classic struggle of the upstairs and downstairs life of British nobility, even in post-Victorian England. The movie Rebecca is equally glorious, and you don’t have to take my word for it. The Academy of Motion Picture Arts and Sciences also thought it was glorious, as they bestowed upon it the Oscar for Best Picture of 1940 (although at the time this top award was referred to as “Outstanding Production”). Having been nominated for a total of eleven awards, it also won the Academy Award for Cinematography; the choice of filming it in black and white did nothing to diminish the beauty of Monte Carlo, the roiling Atlantic Ocean, or the English countryside. The director, Alfred Hitchcock in his first American production, stayed true to the novel, with only a major change to the story line, required by the studio to uphold the morals of the time. Du Maurier herself loved the film. Hitchcock’s movie is not the only adaptation; the book itself reflects the jealousy felt by a woman for the previous lover of her husband. In a 2013 interview, du Maurier’s son, Kits Browning, revealed that his father had been engaged to a woman before his mother, and that woman signed her last name with “this wonderful great R”. He intimates that his mother may have been jealous of that first relationship, and those feelings inspired the plot of Rebecca, along with the “wonderful great R” featured prominently in both the book and the movie. 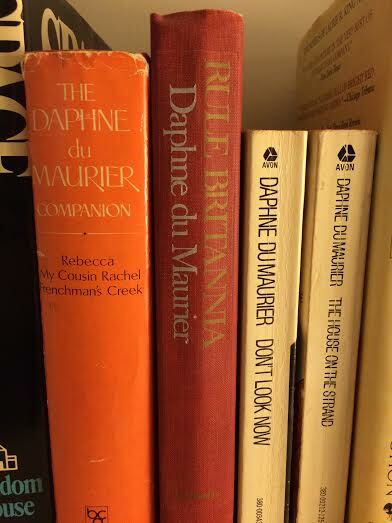 In reality, du Maurier was more Rebecca than the second Mrs. de Winter, having grown up wealthy and privileged, holidaying in a mansion near the sea in Cornwall. In Rebecca we have a female character that initially is weak and submissive, so passive and unimportant that, like Cinderella, she is not even granted a first name. She is skittish and worries over everything, even the most minuscule change to her hairstyle and whether her new husband will like it. She breaks a small China figurine and hides the broken pieces in a desk drawer out of fear for being reprimanded by the housekeeper for this accident in her own home. At the start of the book, again like Cinderella, we know very little about her past other than her occupation, presumably because she has no family and must make her own way in life. She goes from the care and control of Mrs. Van Hopper to the care and control of her new husband, a much older and even wealthier companion. While haunted day and night by the aura of Maxim’s first wife, which hangs over the family estate and all its inhabitants like a heavy, cloying perfume, we see the second Mrs. de Winter “come of age” and take control of a tragic situation when her dear Maxim most needs her. It is her strength, borne of love and the compulsion to lift the bitter fog of Rebecca’s memory, which saves them both, when all the world appears to come crashing down around them. While it appears that they lose everything in the process, the spell of Rebecca is broken. In du Maurier’s gothic novel, it is her Cinderella who saves the Prince. House, Christian. 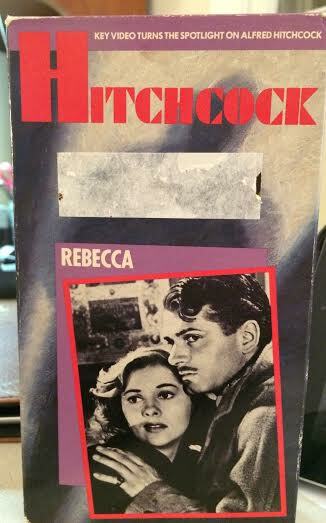 “Daphne du Maurier Always Said Her Novel Rebecca Was a Study in Jealousy.” The Telegraph. Telegraph Media Group, 17 Aug. 2013. Web. 08 Aug. 2015. Wikipedia contributors. “Cinderella.” Wikipedia, The Free Encyclopedia. Wikipedia, The Free Encyclopedia, 8 Aug. 2015. Web. 9 Aug. 2015. Wikipedia contributors. “Rebecca (1940 film).” Wikipedia, The Free Encyclopedia. Wikipedia, The Free Encyclopedia, 6 Aug. 2015. Web. 8 Aug. 2015. Wikipedia contributors. “Rebecca (novel).” Wikipedia, The Free Encyclopedia. Wikipedia, The Free Encyclopedia, 1 Aug. 2015. Web. 8 Aug. 2015. ← Comfort Food, or a Meal for Comfort?